Students - Last evening, after dinner, I took our dogs Cali and Sage for a walk around the back pasture. Once again, I fell in love with the variety of autumn wildflowers we always see at this time of year in Western New York. 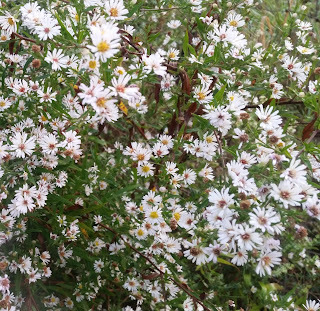 Walking, as Mary Ann Hoberman says, is a way to find new ideas, and last night, the white asters somehow reminded me of stars which got me wondering about constellations and how they each got their names. When I came back into the house, I looked up all kinds of sites about constellations and learned a lot about them. What I learned most, however, is that I long to and plan to learn more. My first draft of this poem was all one stanza, but the more I revised and reread, the more I wanted to break up the parts: the wish, the story of way back when, and the return to now...when we cannot know the real origin stories of these wondrous pictures in our skies. When you're not sure what to write, you might consider starting with a walk, a wish, or a wonder. Each day is full of so many, and the more we walk, wish and wonder, the more wishes and wonders we will find. 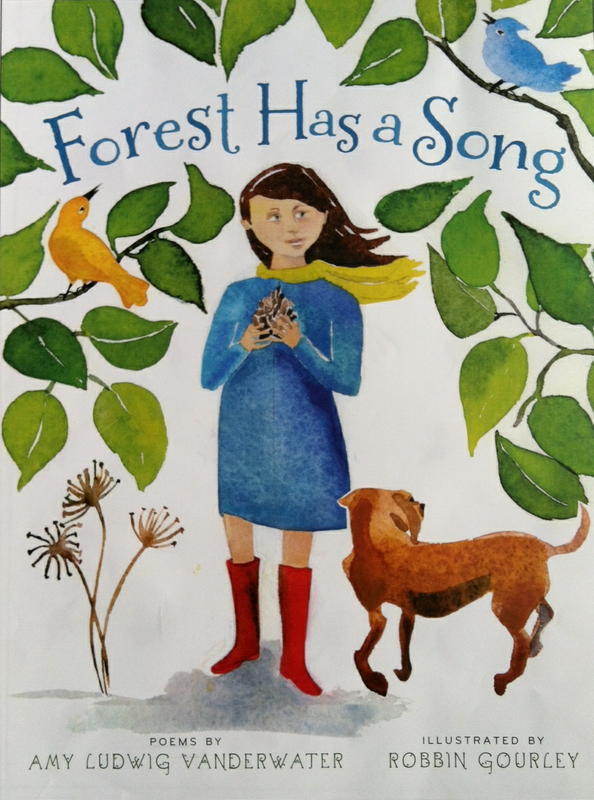 I am so happy to be sharing a collaboration between my daughter Georgia and me at Penny Klosterman's blog today. Penny has a superfun series titled A Great Nephew and a Great Aunt, featuring art/writing collaborations between her and her great nephew Landon. A part of this series includes Guest Episodes featuring various writer/artist family pairs. Thank you, Penny, for having us at your place today! At Jama's Alphabet Soup, Jama Rattigan has a beautiful post today celebrating libraries, librarians, and the new JUMPING OFF LIBRARY SHELVES by Lee Bennett Hopkins and illustrated by Jane Manning. You can read three poems from the book in this post, including my "Book Pillows." 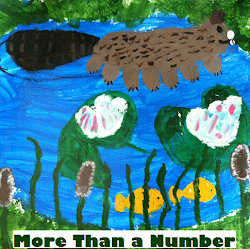 This week, you can also find a great new post at my other blog, Sharing Our Notebooks. 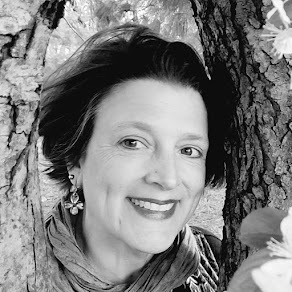 Cynthia Grady, author of I LAY MY STITCHES DOWN: POEMS OF AMERICAN SLAVERY shares some of her favorite notebooks, behind the scenes of this beautiful book, and she offers a giveaway too. Don't miss! Too, please remember that you and your notebook keeper friends are always welcome to post in that space. Just let me know if you are interested. It is, of course, Poetry Friday, and that means that there's a roundup. 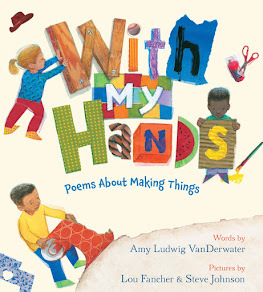 To visit this week's poetry goodness all around the Kidlitosphere, head straight to Poetry for Children, where Sylvia and Janet are hosting the festivities. One of my earlier colleagues with whom my students and I took many wonderful trips knew ALL the constellations. We would lie in our sleeping bags while he showed us. I always thought I would remember, & I don't remember more than a few. I do wonder too about those old stories' beginnings. Love the poem in its wondering, Amy. Sometimes the questions are as interesting as the answers, no? Have fun in your search to learn more... I know you will. I just love it, Amy, when you say "What I learned most, however, is that I long to and plan to learn more." That's the perfect way-to-be in the world, especially for a poet! "When you're not sure what to write,... start with a walk, a wish, or a wonder." I love this advice for writers. And thanks for sharing your poems for banned book week! Have a wonder-filled weekend, Amy! which got an idea going! Our minds connect to things in interesting ways. Hi, Amy, thank you for joining our Poetry Friday gathering this week-- and for sharing your walk with us! I love the glimpse into your process and how you always share an audio recording too. Lovely! Very wonderful, Georgia and Amy! (And thanks, Penny, for making this post possible.) I have a Georgia in my class this year who reminds me of GVD, and I'm reading Alice Hoffman's "Nightbird" right now which flew about my head the whole time I was enjoying your collaboration! 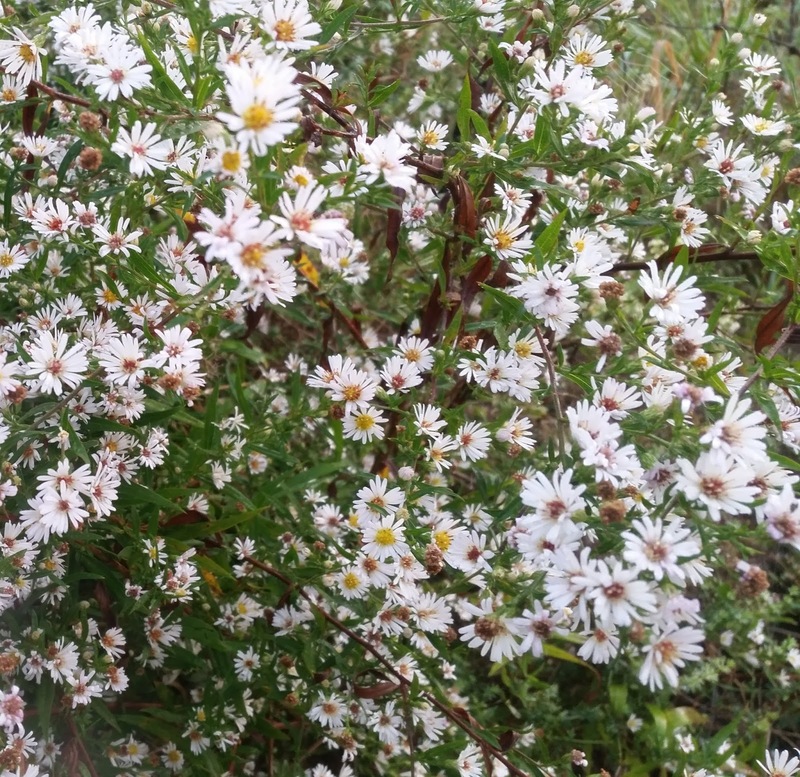 I have asters blooming too, just a smaller version of yours. :-) Whenever I look at the constellations, I will confess, I think, "Someone got a WHAT out of that?" I think I'm doomed to recognize only the dippers and Orion!! 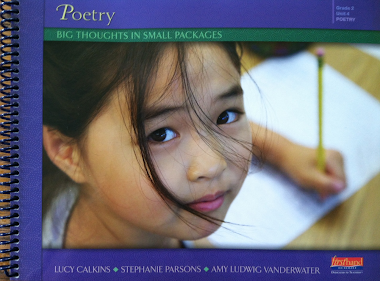 Amy, I really like the revision of your poem in which you broke it down to separate stanzas. I think it has a flow to it. Walks are so indicative of people who like to think in quiet spaces. When you write a poem about those Autumn wildflowers will you think of my new gallery, Autumn's Palette, for an offering of your craft? I will check into all the link-ups your provided.